View cart “Pizza Night” has been added to your cart. 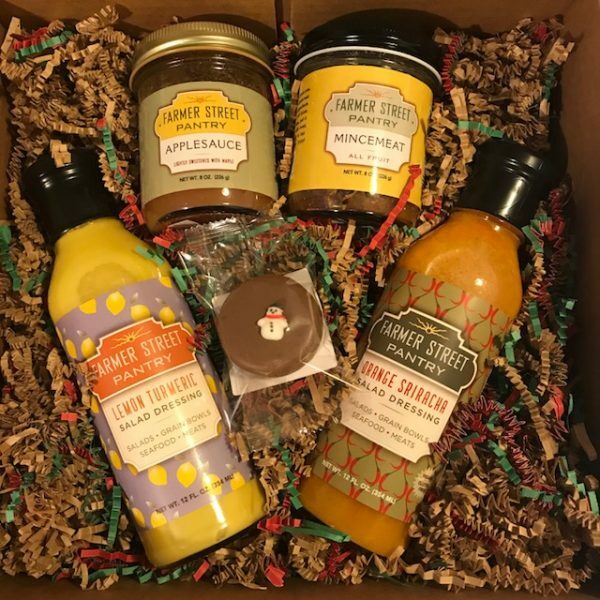 Enjoy this gift box made to encompass Farmer Street Pantry. Includes applesauce, mincemeat, orange sriracha and lemon turmeric dressing, and an Oreo from Chocolate Pizza Company!